Riverfront Fort Wayne is many things—a public park, a visionary organization, a community movement—all intended to help our rivers become a year-round destination in Northeast Indiana. We’re all about rivers because, in many ways, our rivers define us. Our three rivers flow. They ramble and they roll; they roam and they rush. They rise. Their sound becomes a rhythm, becomes a beat—a heartbeat. They breathe life into our community. They breathe commerce. Adventure. And romance. On these banks, we’re at our best—recognizing our past, but creating a new momentum. Forward. Our rivers brought us here. Today, we’re in the middle of a powerful story, and tomorrow looks even better. In Northeast Indiana and downtown Fort Wayne, we’re just like our rivers: Always moving. View the Riverfront Fort Wayne brochure HERE. Riverfront Fort Wayne exists to delight, energize and unite our entire community through moving experiences and extraordinary places. Riverfront Fort Wayne will evolve and develop to become a center of activity and a powerful source of regional pride—nationally recognized for its unique and vibrant character. 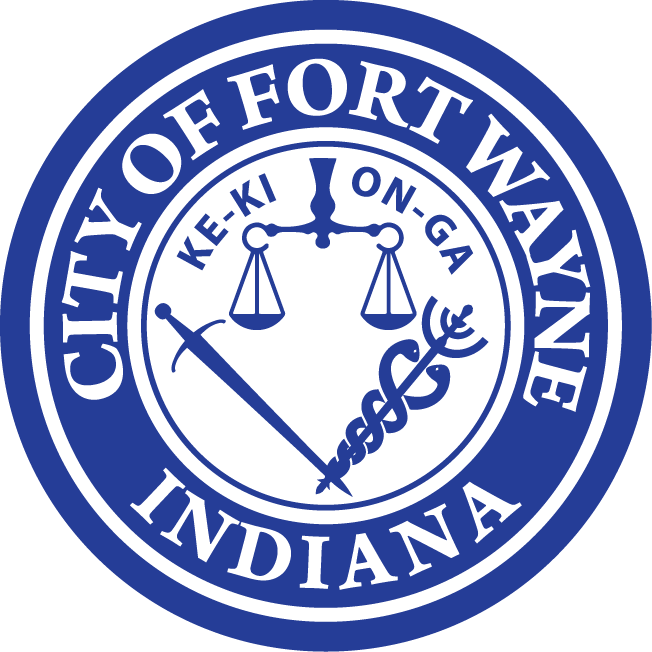 Riverfront Fort Wayne is an initiative of the City of Fort Wayne, proudly supported by Mayor Tom Henry and approved by Fort Wayne City Council. The City’s Parks & Recreation Department has led the overall Riverfront Fort Wayne effort with support from Community Development and City Utilities. This project has been supported by a strong network of partners in Northeast Indiana, including the Northeast Indiana Regional Partnership and the Regional Development Authority. The Allen County-Fort Wayne Capital Improvement Board has provided funding for the property acquisition and public infrastructure. Partners in private fundraising include the Community Foundation of Greater Fort Wayne and the Fort Wayne Park Foundation, Inc. The Tri-State Watershed Alliance and other organizations and groups have continually supported Riverfront events and programs. Many thanks to all of these partners for their ongoing support! Although Northeast Indiana has many rivers, the Maumee, St. Joseph and St. Marys have played a special role in local history, converging in downtown Fort Wayne. Over the years, our relationship to these three rivers has evolved and come full circle. Northeast Indiana’s three rivers were once the center of local life, commerce and transportation. In 1697, the French built a fort along the St. Marys River near the Miami Village of Kekionga. This fort was also on the important fur-trade route from the Mississippi River Valley to Quebec (at what is now West Superior and Van Buren streets). After a series of American attempts to capture Kekionga, General Anthony Wayne established the first Fort Wayne in 1794 near the intersection of Main and Clay streets where the three rivers meet. This strategic location was often referred to as the crossroads by early settlers and Native Americans because it provided access to travel in three directions. The city of Fort Wayne built up around this busy hub of activity, and once it was established in 1829, our three rivers became part of a larger network of transportation in the entire region, too. By the mid-1800s, Fort Wayne held a key position in the great Pennsylvania Railroad as the “Altoona of the West,” and its location on the Wabash and Erie Canal earned it the nickname “Summit City” because it was the highest point above sea level on the canal route. As our three rivers became part of our community, the St. Marys River winding around downtown played a key role in local culture. In 1865, the Indiana State Fair was held on the north bank of the St. Marys in Lawton Park, and for many years, the Allen County Fair was also held on this river just west of downtown in what is now Swinney Park. The first night baseball game in the U.S. was held on the St. Marys, too, in 1883 in what is now Headwaters Park. As the 1800s drew to a close, industry in Fort Wayne continued to flourish, and more immigrants poured into the area seeking jobs. The historic Wells Street Bridge was built to replace an earlier bridge on the St. Marys in 1884, and to this day, it remains the oldest bridge on Fort Wayne’s rivers. The three rivers continued to bring prosperity and commerce to Northeast Indiana throughout the early- to mid-1900s. During this time, Fort Wayne’s Park and Boulevard System was significantly shaped by the famous landscape architect George Kessler. In Kessler’s 1912 master plan, he organized and expanded the city’s urban landscape to incorporate our three rivers. Among many accomplishments, he created a plan for Lakeside Park, and envisioned a green space for recreation and floodwater control in the bend of the St. Marys River, which became Headwaters Park. Over the years, Headwaters Park has developed into one of the most forward-thinking city park projects in the nation, beautifying the downtown landscape and providing green space for many regional festivals. Between 1931 to 1934, the Three Rivers Filtration Plant was built at the confluence of our three rivers downtown. This regal Collegiate Gothic structure is still there today, and it produces 72 million gallons of safe water each day for its customers. But as with many communities, Fort Wayne began to withdraw from its downtown in the late 1900s as residents relocated to the suburbs. During this time, our rivers largely fell to disuse. After major flooding in 1982 and 1985, city workers helped the US Army Corps of Engineers build ten miles of higher levees along the three rivers to help protect against floodwaters, and our rivers disappeared behind these walls and natural brush. In the 2000s, Northeast Indiana’s residents began to recognize the importance of our rivers again. Mayor Tom Henry established Legacy Fort Wayne in 2011 to guide the spending of approximately $75 million through the Light Lease Settlement and Fort Wayne Community Trust funds. The Mayor solicited hundreds of ideas from the community on how best to utilize this once-in-a-lifetime opportunity, and the desire for riverfront development rose to the top of the list. With the public’s overwhelming support, Mayor Henry commissioned a comprehensive Riverfront study. Throughout the process, thousands of residents completed surveys, attended events, heard presentations, shared their ideas and even experienced the rivers themselves with riverboat excursions and Dragon Boat races. In 2015, a conceptual plan was drawn up and shared with the community. Fort Wayne City Council approved $6 million in funds for Riverfront work, including maintenance, development and events. Mayor Henry formed a Riverfront Implementation Committee to guide the project, and the city hired Riverworks Design Group to take the conceptual plan and develop schematic designs. This led to Phase I of Riverfront Fort Wayne. As residents move back into downtown, we’re coming back to our rivers, too. Our community currently enjoys boating, kayaking, biking, commerce, community events and natural scenery along our rivers. We still get drinking water from the St. Joseph River for some 250,000 people in the Fort Wayne area, as well. Now that Phase I of Riverfront development is underway, our three rivers are becoming the center of local life once again. Riverfront Fort Wayne development has been guided and informed by the Downtown Blueprint Plus Plan, the Riverfront Fort Wayne Conceptual Plan, and the City of Fort Wayne Riparian Management Plan. The Downtown Blueprint Plus Plan covers the entirety of downtown Fort Wayne. The Riverfront Conceptual Plan envisions a vibrant riverfront district, and the Riparian Management Plan offers recommendations and action steps for improving the health and sustainability of our river banks, riparian buffers, and river channel from the Main Street bridge to the confluence of the St Marys, St Joe, and Maumee Rivers. The place to talk all things Riverfront. Flow, rivers, flow.